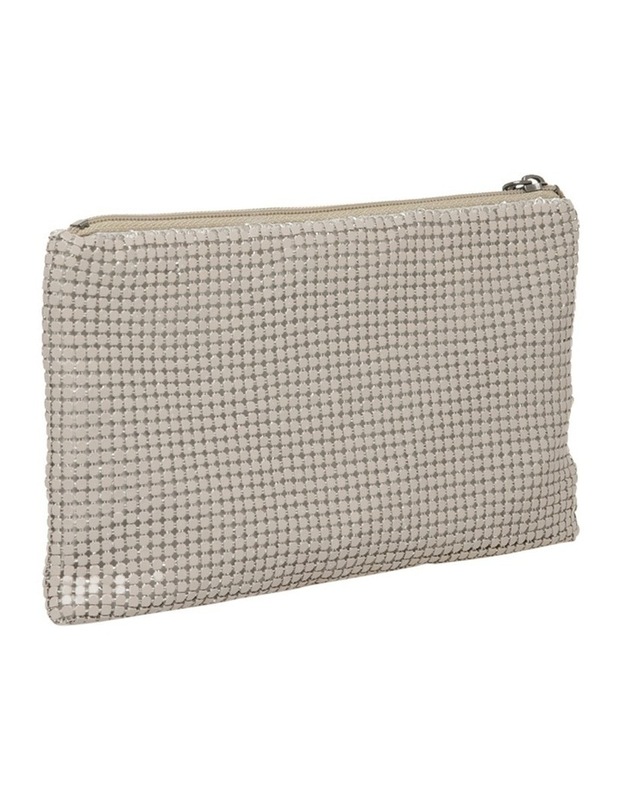 Olga Berg Mesh Wristlet in Natural OB5050. 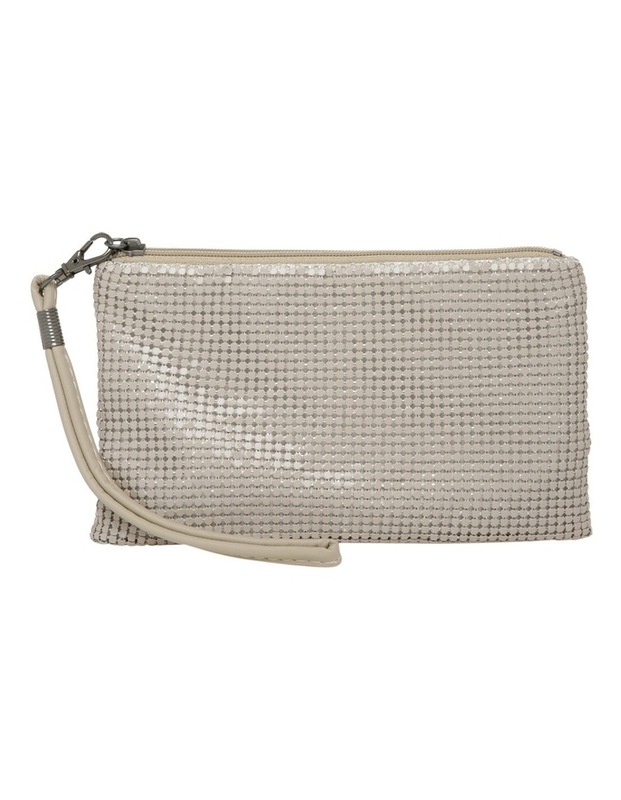 Zip top mesh wristlet with removable wristlet strap. The internal features two slip pockets. Dimensions: W17cm x H10cm x D1cm. Style Number: OB5050.